Wow! Time flies! 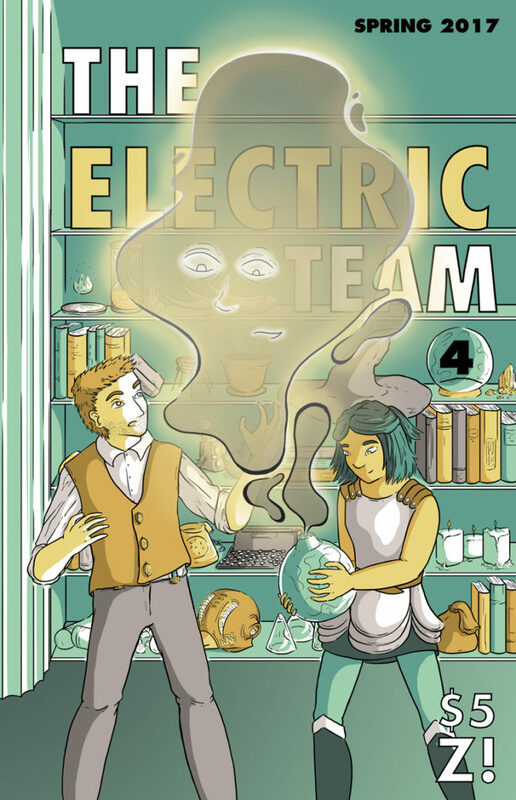 It’s now been exactly two years since we started serializing The Electric Team. Hah, just kidding, we actually started on June 25th, 2015, but I was busy last week, so let’s pretend like it’s been exactly two years. It’s close. In honor of this MOMENTOUS OCCASION, we have decided to have a sale. For one week only, our latest issue, The Electric Team #4, is 50% off the regular price. Fifty percent! We’re out of our minds! These deals are crazy! See how the cover says $5? Not for you, friend! Not if you act now! We hope you give it a try, since it’s our best issue yet, and we’re all proud of it. It tells a complete story, so even if you haven’t read #1-3, we still encourage you to head on over to our products page and give it a try. And, while I hate to have to say this, I know some people have had trouble with our shopping cart program. The IT team here at Electric Team central has labored tirelessly to work out the bugs, but if you have any problems, or remember having problems, or are afraid you might have problems, or just generally do not prefer using online shopping carts, please feel free to message us directly through the Electric Team Facebook page and we will be able to process your order that way. We do not want any obstacles to stand between you and The Electric Team #4. Finally, thanks to Sam Albert for all her hard work bringing The Electric Team to life. We couldn’t do it without you, Sam!